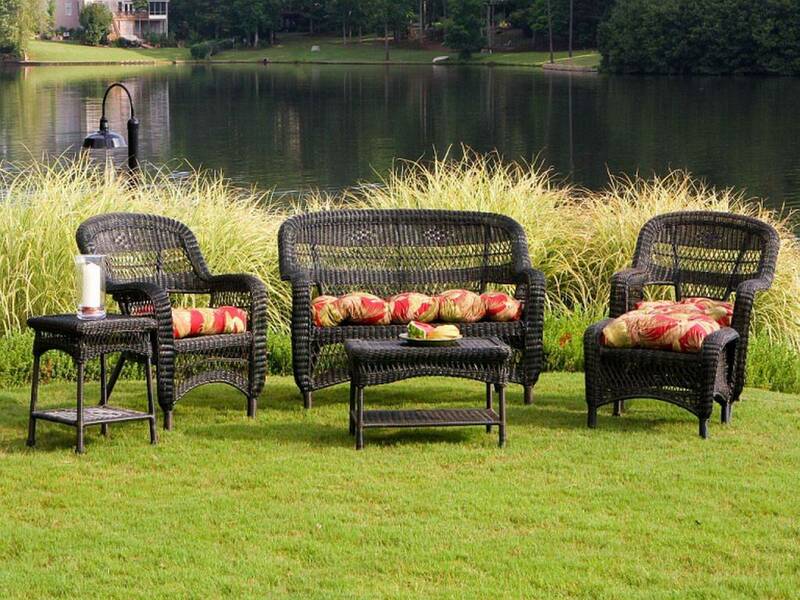 The Tortuga Portside 6-Piece Seating Set is an attractive and comfortable set which will add a touch of class to your outdoor patio area. 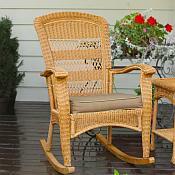 The luxurious cushions, which are included, come in many appealing patterns. 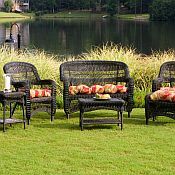 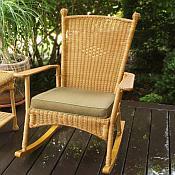 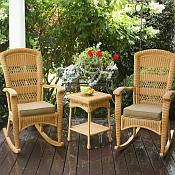 You can also choose from three wicker colors (only the Dark Roast is pictured; please see Portside 4-piece set for images of the Coastal White and the Southwest Amber wicker). 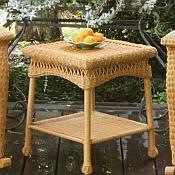 The set also comes with a versatile storage coffee table and side table. 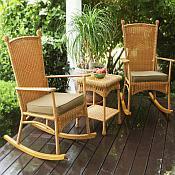 This patio furniture collection is truly a super value and is perfect for dining with friends or just lounging outside on a nice day.